After announcing their return to the Quayside site Spillers Wharf in Newcastle for their second ‘By Day By Night’ festival event, Shindig recently released the first major installment of acts to be gracing the banks of the Tyne for the now two-day, two-night long event on May Bank Holiday Weekend. “BYDAY”, aiming to attract a combined capacity of 15,000 on Saturday 2 and Sunday 3 May the line up features Richie Hawtin along with Radio 1’s Annie Mac, Andhim, Hannah Wants and Andrea Oliva to name but a few, along with Dubfire, Maceo Plex, Pete Tong, Steve Lawler, Gorgon City, Green Velvet, Gerd Janson, Duke Dumont and Dusky. Saturday’s ‘BYNIGHT" at W34 continues with Adam Beyer and DJ Mag Best Of British Award-winners Dense & Pika whereas Sunday night’s soiree welcomes RA’s #1 DJ two years running, Innervisions boss Dixon, and Life and Death label head DJ Tennis to the 1000 capacity warehouse space. Elsewhere in the city sees two Shindig favourites back by popular demand; Derrick Carter and Robert Dietz. Situated upon the picturesque Newcastle Quayside the stage has been set amongst architecture and the city’s iconic bridges as an industrial backdrop. 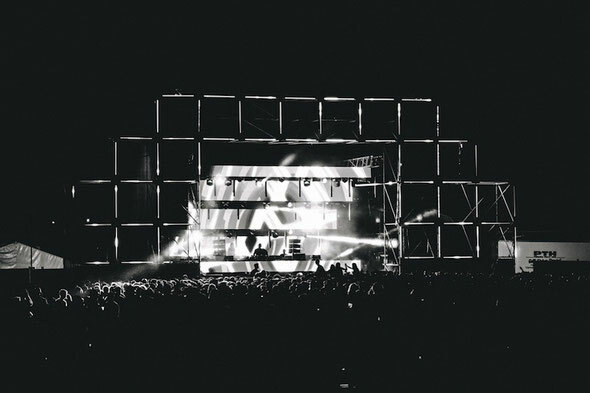 Building upon the success of the previous year, the first to be held on the Spillers site which apparently saw 7000 people and over 15 artists including Sven Vath, Loco Dice, Jamie Jones, Hot Since 82, The Martinez Brothers, MK and more.